Amidst my empty-scheduled holiday, I got an email from one of the 700 malls in Jakarta that invited me to a TBS event. I wasn't sure what this event might be, but if you've been following this blog for a long time, you probably know that I have sort of an obsession with The Body Shop. Lately I've lost that admiration for their make up (though I religiously use their Vitamin E moisturizer.) I just am not very impressed by the range, quality and strength of TBS make up products. So I thought that I'd give this even a shot to change my mind. I asked my lovely friend, Tanya, to accompany me, and after three hours of driving through the intense Jakarta traffic, we made it to the event an hour early. A lot of girls ranged from fashion blogger to media partners to random strangers gathered up at 5 to wait for the tutorial to begin. There were two make up artists mentoring girls who came to the event, Imam Pulungan and Lizzie Para. Ooh, did I mention that we were served Cupcakes? They were absolutely incredible. My skin is so easily pigmented, I could spend an hour at the beach and literally change completely, well, if I could say so myself, I consider myself quite tan, and make up for tan girls can be quite tricky. You don't want to ever look caked, and you don't want to look like you're putting too much make up since being sun kissed is already a pretty good look. Thus, I've been obsessed with a natural bronzed look lately. After the event, I came over to one of the makeup experts, Imam Pulungan and he willingly showed me how to recreate a natural sun-kissed look by shading and contouring. He showed me how to properly contour my cheeks and tested my knowledge by asking me to do the other half of my face afterwards. He was such a lovely guy, and obviously knows what he's doing. The product that really really captured my attention from this whole event is the Shimmer Wave that goes right in my wish list! This product is amazing. 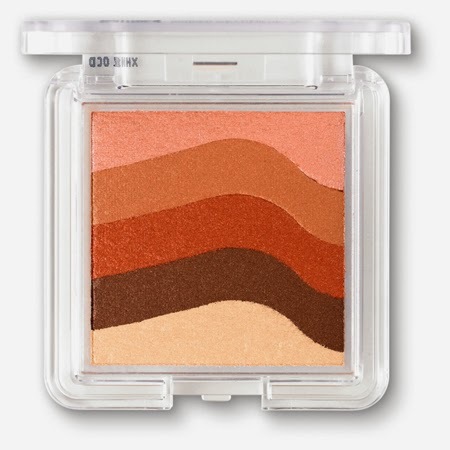 I usually just prefer my Rimmel Natural Bronzer, but I've never imagined how a single weird-looking product can be this amazing cheeks palette. Literally, there's blush, contour, highighter in one simple palette. I used to think that this kind of product would be dysfunctional as they're trying to push everything together. But this is phenomenal. I loved it. 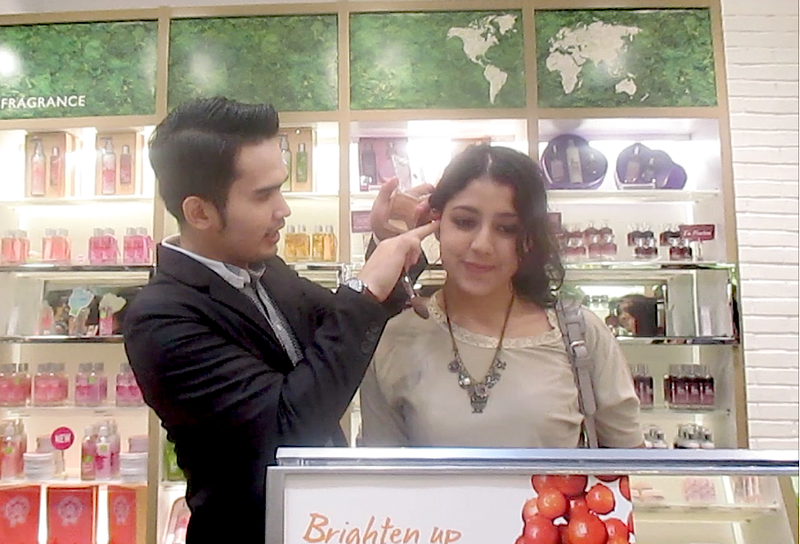 Anyways, that's my quick review of The Body Shop event and my favorite product from it. What do you think of TBS Make Up? Have you met one that keeps you on the hook?